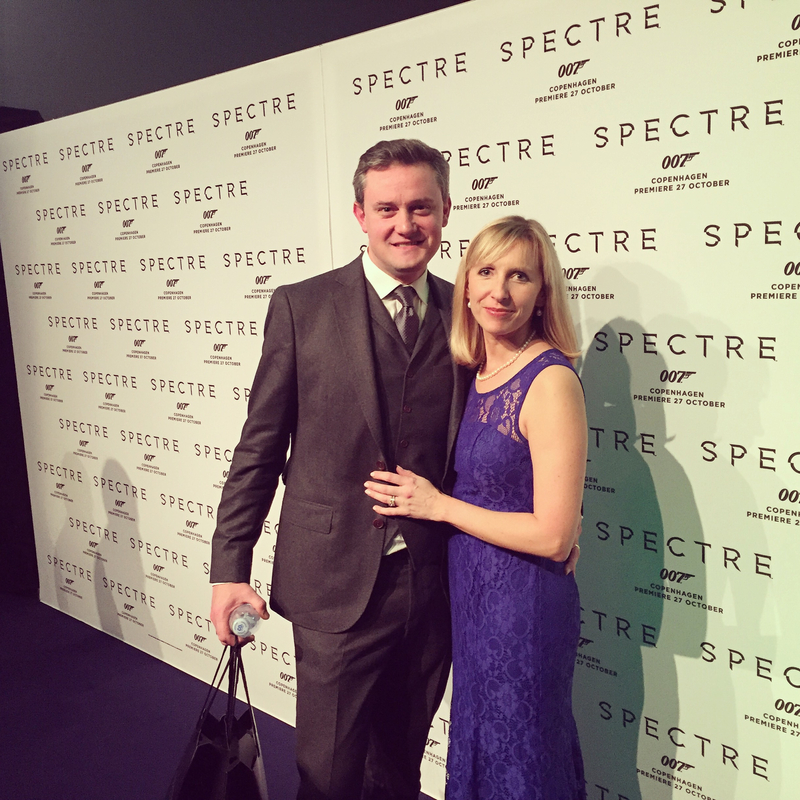 Last night my husband and I were lucky enough to be at the Nordic premiere for the latest James Bond film, ‘Spectre’ which was held in Copenhagen. We were guests of the British Embassy, who put on a drinks reception at the Imperial Hotel, right next to the cinema. 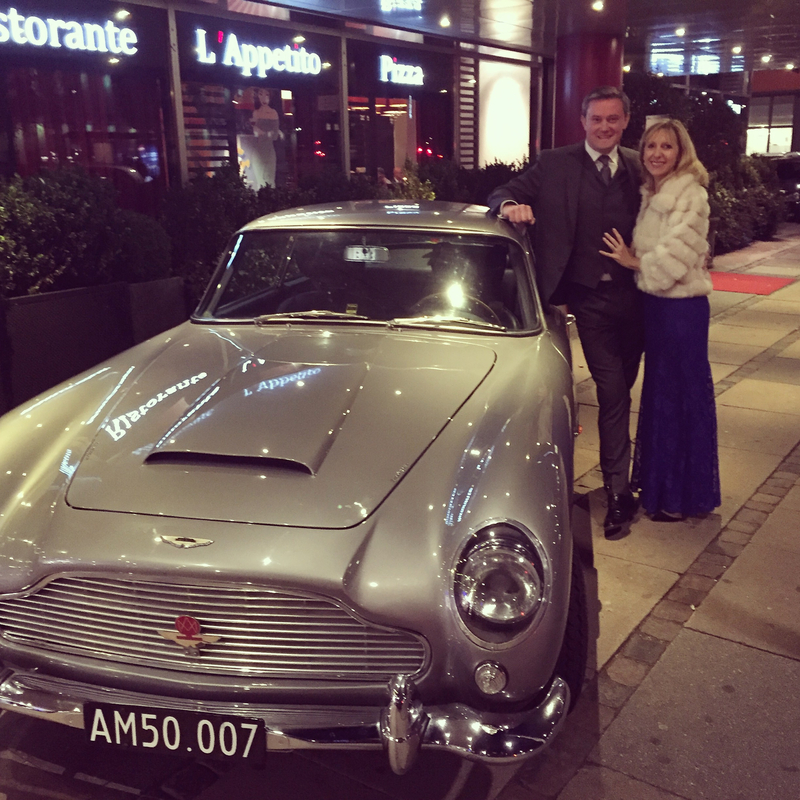 My husband and I pretending we own an Aston Martin, complete with 007 number plate! Before we even entered the hotel lobby, we were able to grab a photo next to an Aston Martin, complete with 007 number plate. 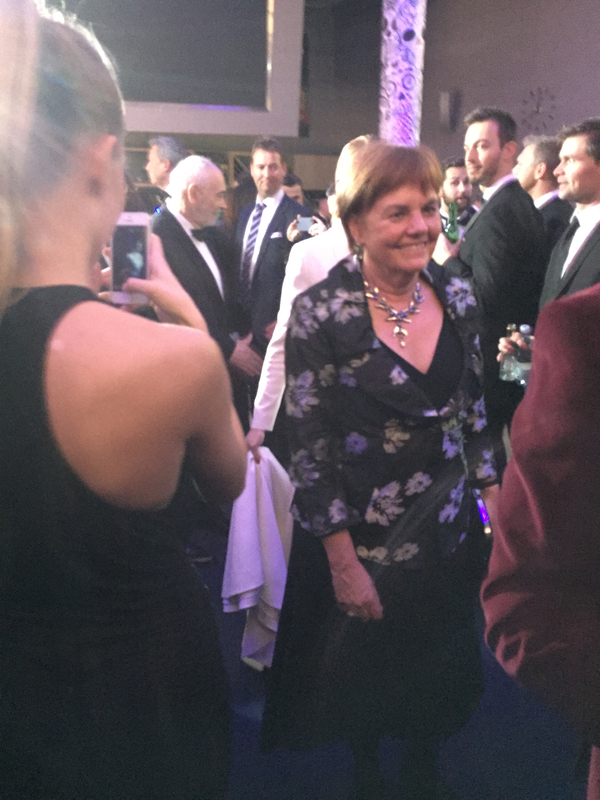 Once inside we mingled with the great and the good including actors and politicians, while the British Ambassador, Vivien Life, reminded us Bond fans just how Great Britain is (we already know!). 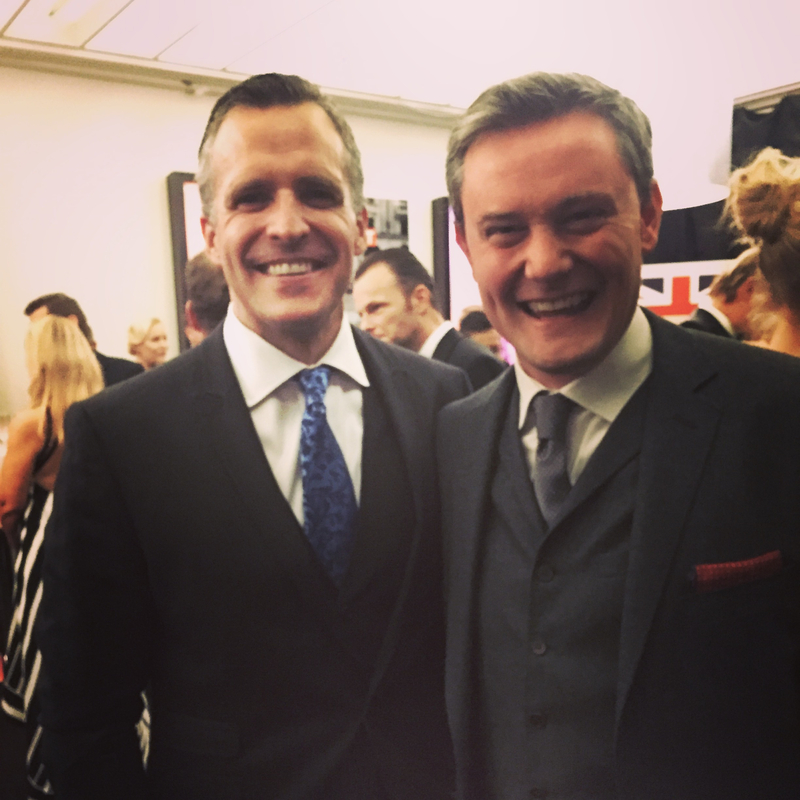 It was fun to finally meet the US Ambassador, Rufus Gifford, who’s yet again taking Denmark by storm with his latest TV show. A short walk round the block and we were inside the cinema, watching as Scandinavian stars hit the red carpet (actually it was blue). I confess that I didn’t recognise many. 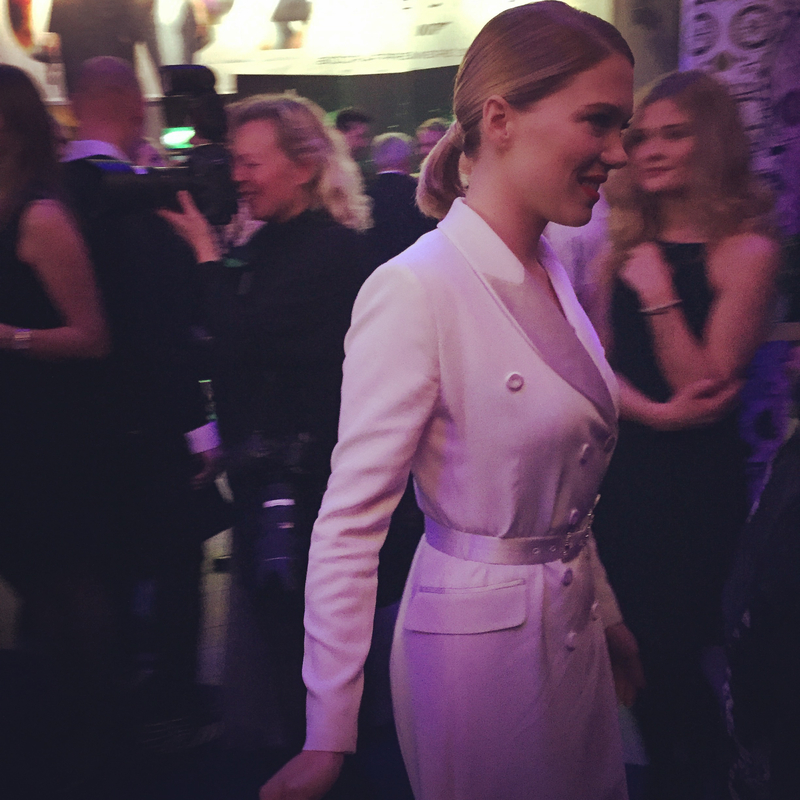 But we all knew when the latest Bond Girl arrived, Lea Seydoux, who thankfully places a strong and intelligent woman. She was with the Danish actor Jesper Christensen who takes up his role as Mr White in the film. And there was plenty of drink and entertainment. It was, though, the movie that we’d all come to see and after the audience was introduced to the stars on stage, we sat back and watched. Right from the start the film is gripping with stunning cinematography. I’m still not sure whether it’s better than ‘Skyfall’, but if you like action-packed Bond films, you can’t miss ‘Spectre’. It was a night I won’t forget. Ha Clare! Thank you anyway!